An Interactive Game unlike any other! 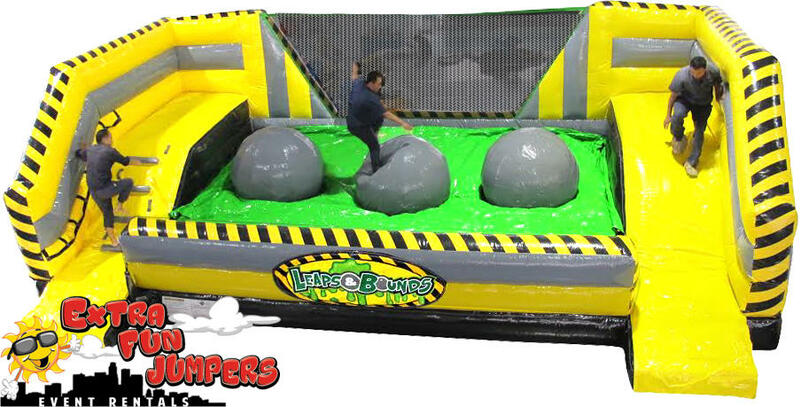 Designed to challenge and entertain, this game features a series of three giant inflatable balls which challengers must run or leap across from ball to ball like a frog to the other side! But don’t worry if you fall off, this floor of the pit is protected by our super-soft Zero Shock landing mattress. Players start on one side and must jump or run across the big balls to make it to the platform on the opposite side without falling in the ‘Lime.’ But even if everyone falls without making it across, they’ll still have a ball. Customer will supply 2 separate Outlets, must be within 75ft.